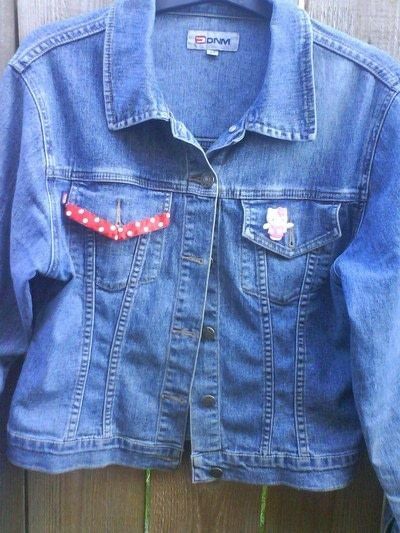 Denim jacket looking dull? Customise it! My poor old denim jacket was looking a bit dull, so I thought why not customise it? 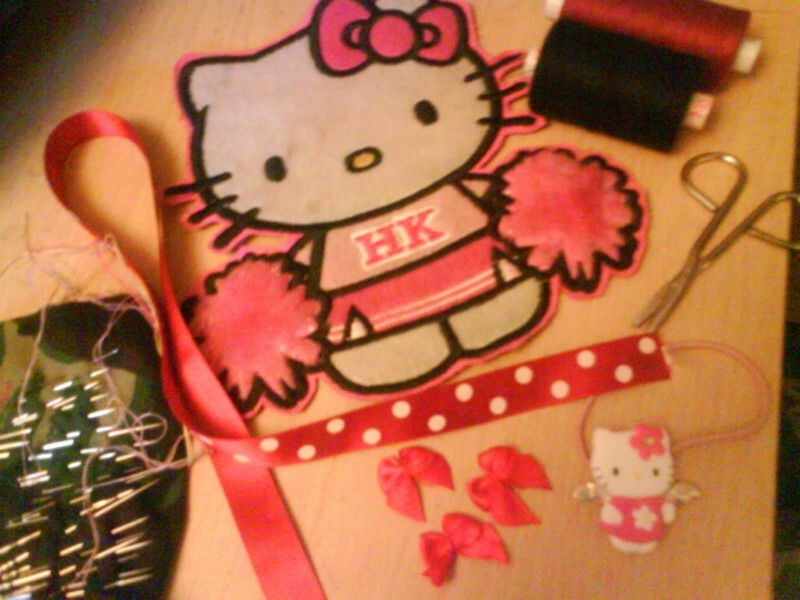 I had a few Hello Kitty charms and patches in my crafty box, so that's what I did! 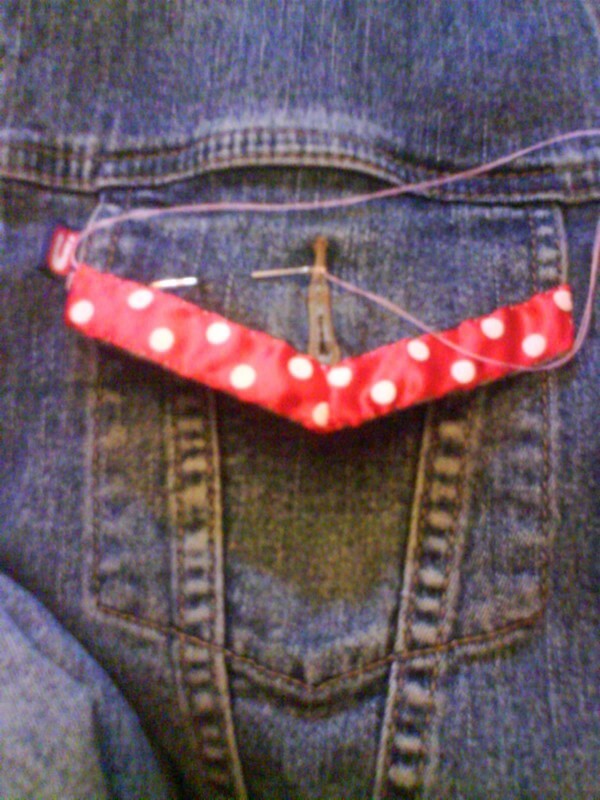 Denim Jacket Ribbon And Charms Pin(s) Sewing Needle Sewing Thread Your Imagination ! Decide where you want to put your patches. 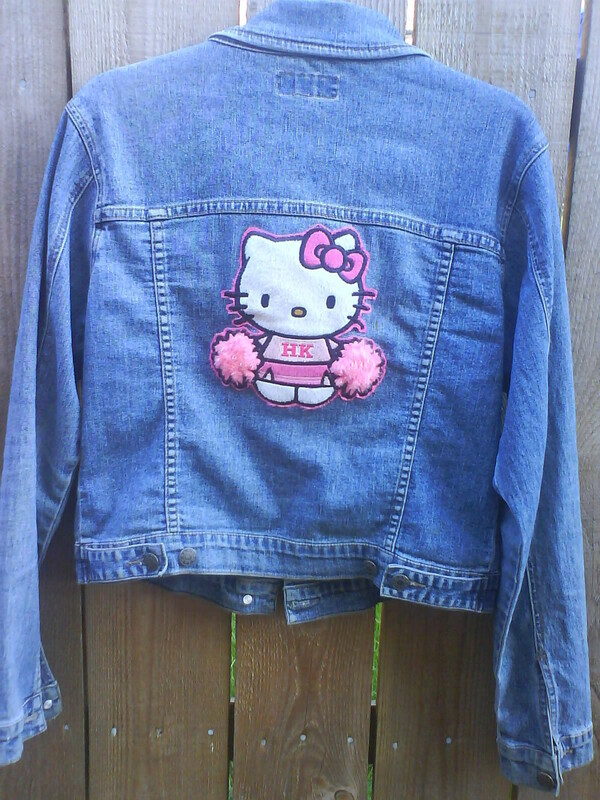 I decided on putting Kitty on the back of my jacket, as it was the biggest place. 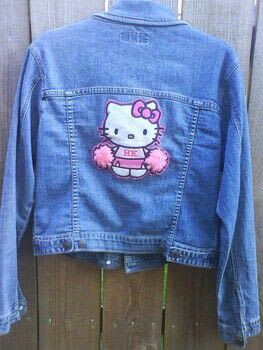 Pin your patches down, and sew. 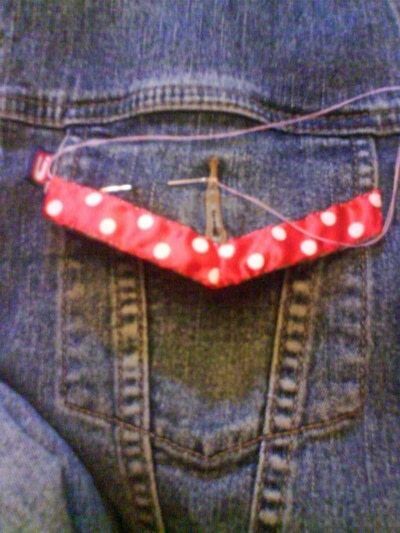 Don't worry if you're not that great at sewing, tack it on, and then you could use a sewing machine to help you. 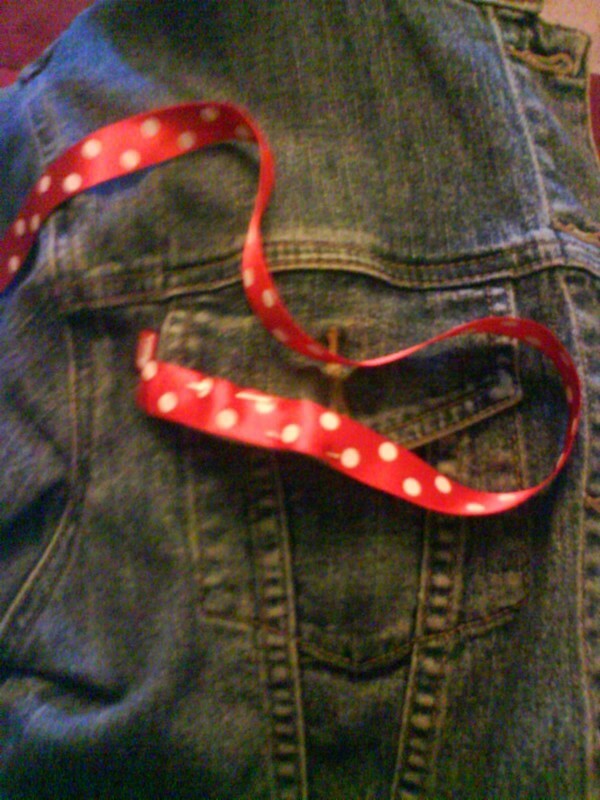 I wanted to be a bit random when I put the ribbon on my jacket, so I pinned it just to one pocket. 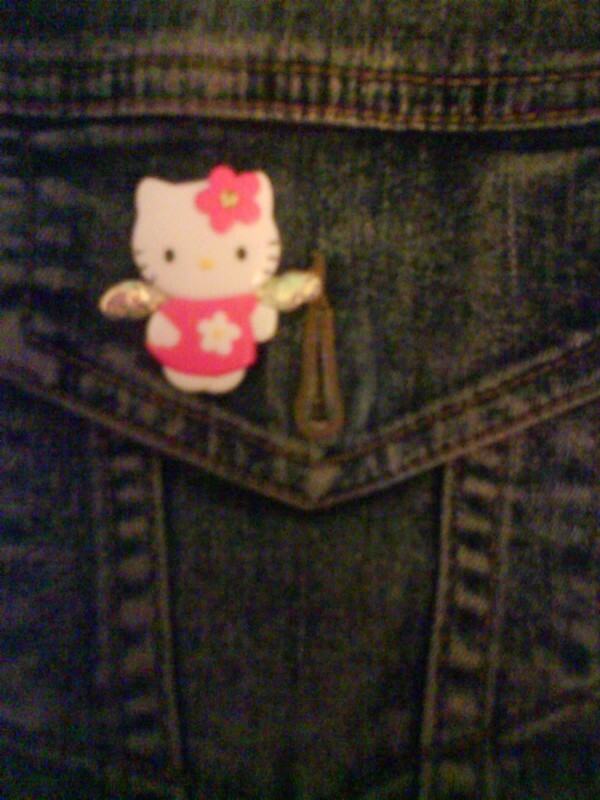 For the other pocket, I sewed the smaller Hello Kitty charm on. The finished product- quirky, unique and it's more special as you customised it yourself :). My daughter adores Hello Kitty. 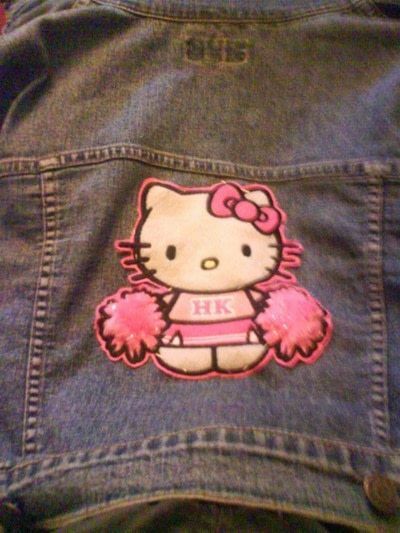 I wonder if I could find a denim jacker and something like for her? i <3 HK...and also cannot bear to throw away items that I cannot use anymore.